Many are girls and children in conflict zones. We are teetering on the brink of a global unemployment crisis, and education is the only thing that can prevent it. That was the warning that Gordon Brown, the former British prime minister and current special envoy for Global Education at the United Nations, gave this week as he noted the enormous number of children — 400 million — who are currently illiterate. Another 260 million are out of school, and the lack of education for today’s youth could spell a mass unemployment crisis in the near future, he said. “Millions of children will remain on the streets and out of schools,” if education funding continues to be neglected, Brown said at a press conference held at the United Nations on Wednesday. “And girls will be the majority of those who lose out on education, and in conflict zones the vast majority of children will not have the chance of education,” he continued. For children in the most dire situations — war, conflict, trafficking — education is necessary for a better life. Even the simple skills of being able to read and write allow them to tell their stories. Exposure to math, science, art, computer skills is also the only way these children can access jobs in the future, without they will be jobless warns the Education Commission. Currently, the numbers of children missing out on a quality education are so immense that by 2030 half of the world’s 1.6 billion children won't even learn the basic skills to get a job. Today, education aid has dropped from $10 per student to $8 in low-middle income countries which Brown protested is, "barely enough to pay for the cheapest text book, let alone teachers and school buildings." "I've had to meet 100 children who cannot get an education and have to watch as just 20 of their friends and siblings are being schooled on the same grounds where they're playing. Parents shouldn't have to choose which twin to educate," Brown said. But the Education Commission has a new plan to prevent this dire outcome. Brown is calling on G20 leaders, the World Bank and Regional Development Banks to create a new International Finance Facility for Education (IFFEd) that could generate up to $10 billion for global education by 2020. This would allow the world's poorest countries to borrow more, on more favourable terms, to support their own education systems and could leverage billions more from capital markets and international development assistance to help meet the funding gap. 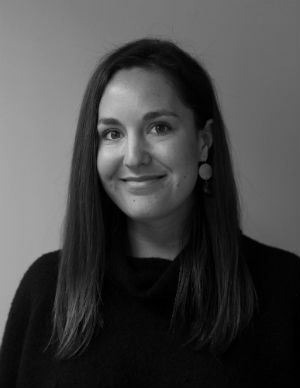 Global Citizen is echoing the Education Commission's call to encourage governments, particularly G20 leaders, to support the IFFEd plan as part of the outcomes of the July G20 Summit. We are also campaigning to raise $3.1 billion between 2018 and 2020 for the Global Partnership for Education to provide basic education for over 800 million of the world's poorest and most vulnerable children across 89 countries. At an event during the World Bank Spring Meetings in Washington DC Thursday, Brown joined Julia Gillard, Chair of GPE, Tony Lake, Executive Director of UNICEF and temporary host of the Education Cannot Wait Fund (ECW) and Jakaya Kikwete, former President of Tanzania, to share his plans around IFFEd and support the launch of GPE's replenishment. Brown talked at the event about how uncertain foreign aid circumstances make for a precarious future for global education. “We will still have a huge financing gap of around $100 billion even if GPE, ECW and ODA levels are filled. We need bold innovative thought," Brown said. That’s why Brown is proposing the IFFEd. The new facility for education funding would help support other multilateral education funders like GPE and the ECW, work to deliver the highest quality education and finance change. Brown, Gillard and Tony Lake all described the IFFEd, GPE and ECW as "three legs of a stool" necessary if we hope to achieve SDG4 (Quality Education) by 2030. Without enriching the programs already at work, we cannot grant the lifelong learning opportunities that are essential for children to succeed. The step-change Brown is calling for in education financing can also be met if developing countries agree to increase their own contributions to education to 5.8% of national income and countries already donating to education aid raise their budgets to 15%. 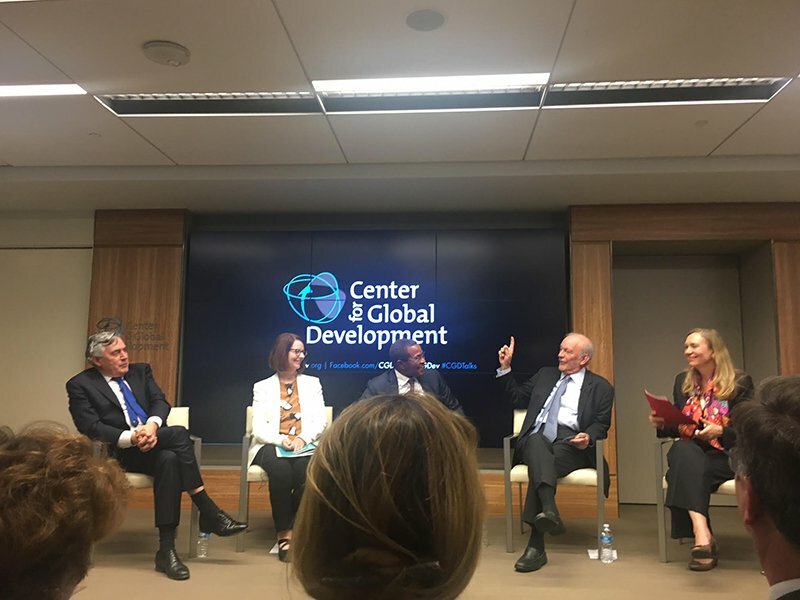 In response to a question from Global Citizen at the World Bank Spring Meetings, Brown advised that civil society "cannot let donors of the hook or allow them to think they are doing enough" because overseas aid to education is still a crucial piece of the puzzle. “It is the biggest, boldest, and most profound step we can take to ensure that the next generation is not lost, but learning,” Kikwete said of the Education Commission's new plan. It may be big and bold, but education for all is not out of reach. “In a world where protectionism and confrontation are on the rise and international co-operation is in decline, it is time to make the case for global solutions to global problems," Brown said. In a globalized world, let’s help one another break barriers and build paths to give children everywhere the hope of a better future, not add obstacles in their path.